ON1 is launching a new version of its long-running PhotoSuite software in late October but it's already running preview videos showing how the new software will work. This is more than a simple upgrade, though, because ON1 is rebranding PhotoSuite 9.5, its previous product, as 'Photo 10'. Photo 10 works both a standalone image-editing suite and as a set of plug-ins for Photoshop and Lightroom, and what's especially interesting is its evolution over the years from a plug-in suite into an all-in-one image browsing, organizing and editing tool which competes head-on with Corel PaintShop Pro, Serif PhotoPlus and, arguably, Lightroom. The accepted wisdom is that all image-editing centres around an image-editing program with cataloguing tools and filter effects added in – the classic Photoshop model. But it's clear now that many photographers center their lives around their image cataloguing software instead, hence the success of Adobe Lightroom. Or, starting from the other end of the image-editing process, they want tools that give them a library of ready-made effects with the option of working back through the process to make manual changes as necessary. Photoshop might be the best at what it does, but not everybody wants to work that way any more. 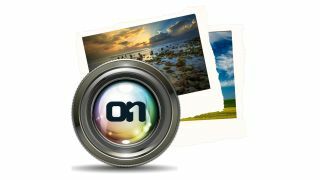 ON1 has progressively merged its series of separate plug-ins into a more cohesive tool with different modules for browsing your images, enhancing them or adding effects. You can build the effects manually when you know what you want to achieve, or choose preset effects and reverse-engineer them to see how they work. ON1 Photo 10's Effects mode offers a whole host of preset image styles, each of which can be 'deconstructed' using manual adjustment tools. ON1 says it's re-engineered the software from the ground up to be up to 4x faster than before with an updated user interface and improved responsiveness. ON1 has also developed its own 'PhotoVia' mobile synchronization system, which enables you to search, rate and share your photos from an iOS device (Android versions are planned, but not before early 2016). Interestingly, this uses existing cloud services, notably Dropbox and Google Drive, which should make life simpler (and cheaper). The Effects module is where you'll spend much of your time, and this has new preset categories and now incorporates the previously separate B&W module to make all the effects available for black and white images too, including the Dynamic Contrast effect which ON1 says has proved particularly popular. Many preset effects are created using several stacked layers, but it's now possible to mask these as a whole rather than having to modify them individually. The Enhance module takes care of the kind of routine image adjustments you'd apply in a regular image-editor like Photoshop. The Portrait mode has been improved too – it can now recognise the faces of subjects lying down, and you can select which features to enhance or exclude, such as eyes only, or eyes and mouth, say. A new Export option, available across the suite, offers a choice of resizing and resampling options which include ON1's proprietary Perfect Resize technology. At the heart of the suite, though, is the Browse module, and this is where the biggest changes can be found. Previously, this was a simple folder browser, just like Adobe Bridge, but it now incorporates a 'watch' feature – you can add a favorite folder, or even a whole hard disk, and it will automatically respond to new or modified photos, promising super-fast rendering of thumbnails as you browse. ON1 Photo 10 applies image adjustments and effects using its own internal system of layers and masks, offering a great deal of control over the results. In Photo 10 you will also be able to create Albums and Smart Albums (corresponding to Collections and Smart Collections in Lightroom). Albums will let you gather together images 'virtually' without actually changing their location on your computer, while Smart Albums use search terms to gather together images matching specific search criteria. ON1 is not pitching Photo 10 and its new Browse module as an alternative to Lightroom, but it's clearly an interesting alternative for those whose filing needs are relatively simple and who don't need the complexities of Lightroom's image database management tools. ON1 Photo 10 will be available in both Mac and Windows versions from late October 2016 at an introductory price of US$99.99 (about £64/AU$139) for the full version or US$89.99 (about £58/AU$125) as an uprgade. It's also possible to pre-order, in which case you get three free months of the new ON1 Photo Magazine, 'The Ultimate ON1 Photo 10 Training', 10 in-depth video courses and a 5-user family license. We'll bring you a full review just as soon as the finished version is available.